Another entry from the book written by Lieutenant Colonel Hüseyin Hüsnü Emir, called Yildirim. Every day, one page of the book will be posted. This is Page 102. Colonel Hüsnü, Yildirim, Page 102. 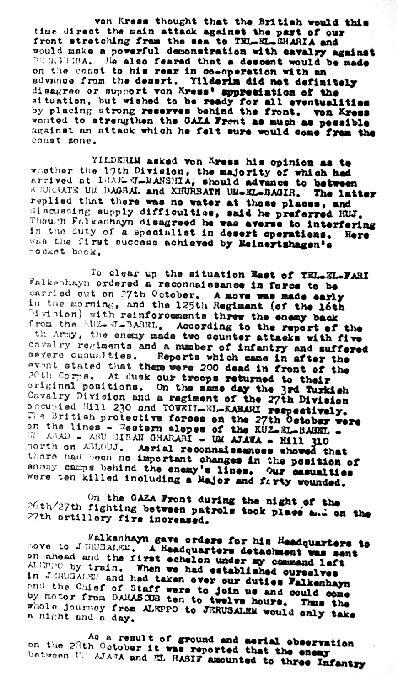 These are the preliminary events that led to the commencement of the description of the events that led to the capture of Beersheba, 31 October 1917. This particular page - equivalent to pp. 105-6 in Hüsnü's original text - deals specifically with the attack on El Buggar Ridge.